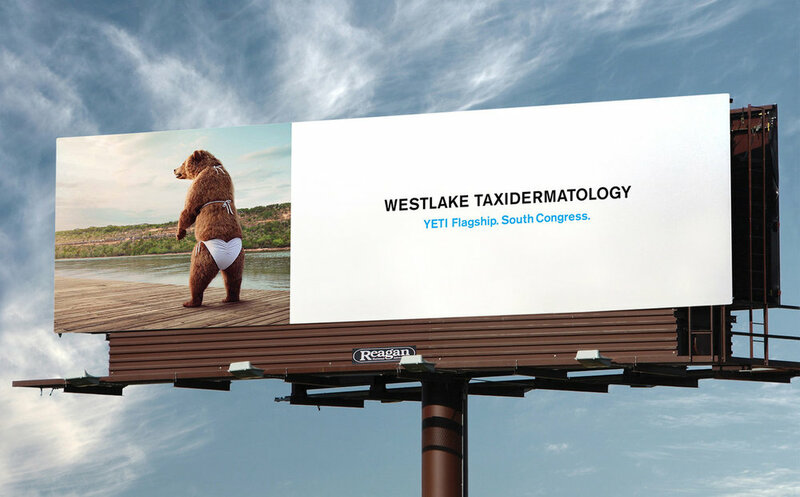 To announce the grand opening of YETI's flagship store in Austin, we poked the local dermatology shop (with a bear). Not from Austin? It'll make more sense if you read what the Statesman wrote. YETI makes a stainless steel kooize. Yeah, you read that right. Does it also have a gasket, you're wondering? Yes. Yes, it does. Our hunch was, no one would have any idea what the thing was when it was sitting on a shelf. So we created a series of witty collectible empty cans to go inside. 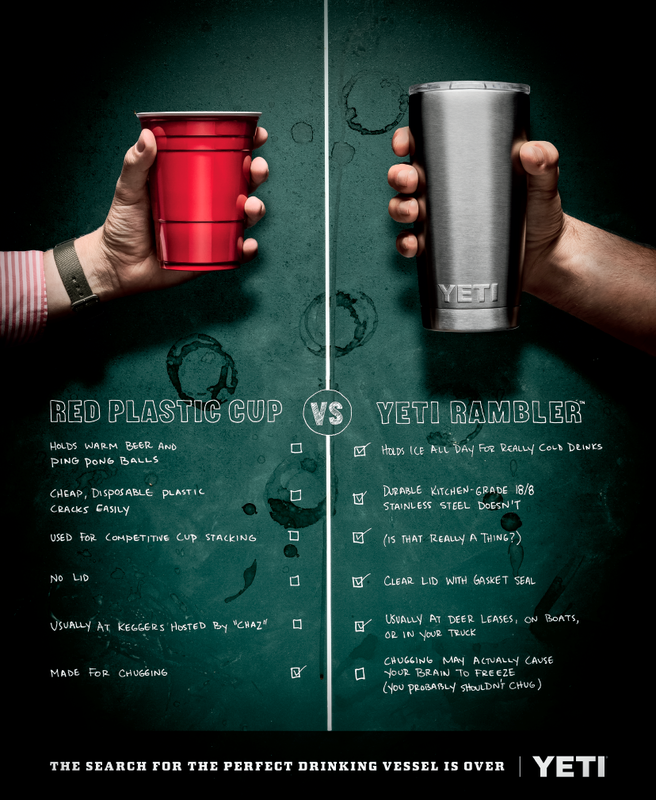 YETI invented the holy grail of cups. "Wait," you're saying, "isn't the Holy Grail the holy grail of cups?" Nope. Try to keep up. It's this one. So we made these print ads telling dudes the world over to quit looking. We also got to say, "Chaz" in an ad. YETI's take on Christmas. This one ran in deer hunting magazines. Yes, those are a thing.